I was contacted Tuesday afternoon with the news that Daniel Bryan, after seeing so many specialists in the realm of head trauma and burying the WWE medical crew in paperwork that he SHOULD be allowed to compete, did their own testing and have relented. 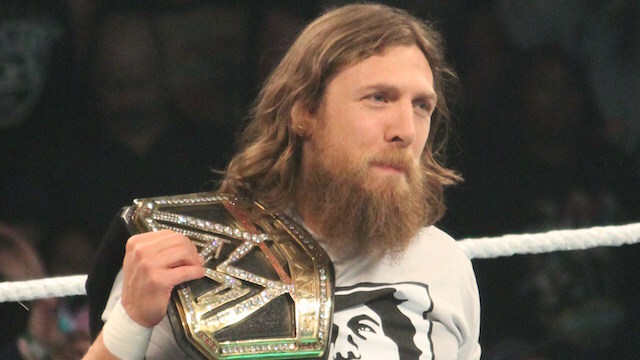 Daniel Bryan is heading back to the ring, just in time for Wrestlemania! And the fans in the arena rejoiced! "YES! YES! YES!" While my arms are still in the air in celebration I realize something else- two precedents are being set here, I think. First of all, I'm all for second opinions on injuries and diagnoses, but in the case of repeated brain trauma I hope that Daniel wasn't cherry-picking the specialists he saw. The good news is that he will have plenty of documentation to show that he has seen people who have cleared him, but WWE can't circumvent HIPAA to see what else was said. I would think that WWE would have SOME say in this since they will cover wrestler's medical bills (since our country's insurance WON'T) and that he has to turn in all receipts for reimbursement. WWE won't tell us their side of this short of evaluating him themselves and having him see one of the foremost specialists on head trauma to get himself cleared. I suspect some money exchanged hands and some other documents were signed in legal for WWE's "CYA" policy in case something does happen to Daniel. To be honest, I don't think Daniel Bryan would be someone to turn around and sue WWE because they let him do what he loves at the risk of his own life. I would also hope that Brie will not coax him into trying it either, as I'm sure said paperwork will forbid it and WWE legal is one of the best in the country. Which brings me to the potential second precendent. Is this an olive branch being waved at the Windy City? "Never EVER EVER NEVER EVER" can be said a thousand times by anyone in the wrestling business, but even those walls can be chopped down. We thought we'd "never EVER" see Bruno Sammartino let WWE into his good graces. We thought we'd "Never EVER" see HBK and Bret Hart reconcile. We "Never EVER" thought Brock Lesnar would come back to the WWE. CM Punk can say "Never EVER", but what if Daniel's enlisting of outside specialists, then comparing with WWE's internal medical, is a signal in his direction to consider returning since neither Punk nor UFC have really benefitted from each other? Punk is legendarily stubborn, but so was Sammartino. WWE might take this case without the inclusion of the EVIL BOSS DR LEVESQUE. Since Bryan and Punk are from similar indie backgrounds, this might raise eyebrows in Chicago and get some lawyers to pick up the phone for another meeting. If Punk was indeed wronged in the past, the process that Daniel Bryan has put himself through should be testament to Punk that WWE continues to improve their medical facilities to preserve careers, save lives and prevent future injuries. Stuff's gonna happen, but WWE can do quite a bit to minimalize things. IF it were to happen, though, I know Punk is going to be a very hard sell. There are going to be some "Absolutes" in his next contract that will be fulfilled "or else", along with a lot of cash, merch residuals, media residuals and everything else Mr. Brooks can squeeze a few dimes out of. Punk had said one of his MAJOR goals was to headline Wrestlemania. In a championship bout. For the championship. Win or lose, that's all he wanted, and that's been hard to do for a lot of others on the roster. Might just be wishful thinking on my part, but this is a scenario I'm going to keep in mind in the coming months. So I welcome back Daniel Bryan to the ring, but I hope that everyone who has examined him has helped him make this a well-informed choice.